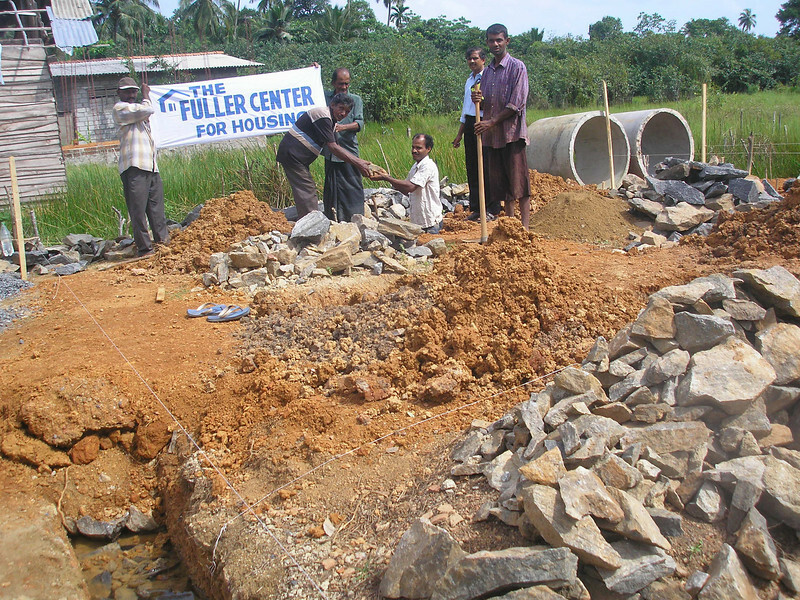 The Fuller Center began work in Sri Lanka on Oct. 1, 2006 as a partner with United Christian Fellowship. Their work includes renovations, half-built houses, roof repairs, room additions and full house constructions. All together, 50 homeowners have been helped in The Fuller Center’s three areas of concentration: Moratuwa, Panadura and Piliyandala. Sri Lanka is ready to host Global Builders work teams with The Fuller Center, and two of the three trips planned for this year still have opening for volunteers. Click here to learn more about these trips. Or propose a trip now or learn more on our Global Builders page. Update: In December 2012, Sri Lanka was hit by enormously destructive flooding. Click here to contribute to the covenant partner’s work in helping affected families rebuild. Aside from the lasting effects of Civil War, the residents face crushing housing problems. 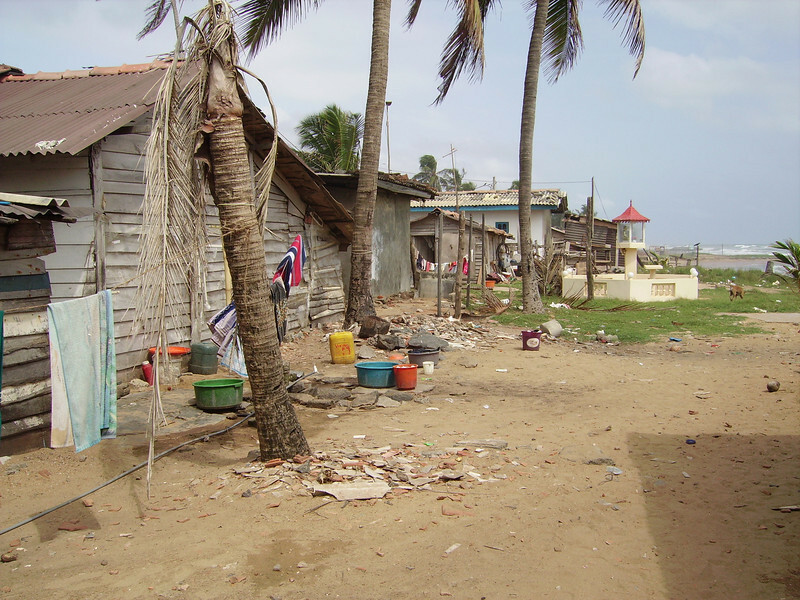 Many families live in slums or wooden shacks. Those who have land often cannot afford to build a house on the land or obtain a loan due to high interest rates. Often the land is worthless and cannot be sold. 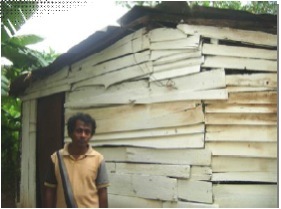 In 2010, FCH Sri Lanka’s director Ranjan Fernando began a project to help house the thousands of Civil War refugees. FCH Sri Lanka does not charge interest for the loans given to build houses, which is why Fuller Center Sri Lanka needs your help. It is very hard to find local organizations who will help without any interest payments. FCH Sri Lanka does not look at religion or race when choosing families to help. Rev. Ranjan Fernando, the local director, says that beneficiaries are thankful to the Fuller Center for helping mankind. “It is our duty to explain that Jesus loves everybody and has special concern for those in need and to show our love and compassion to these needy families as demonstrated by our Lord Jesus Christ,” said Rev. Fernando. 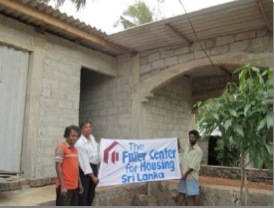 The Fuller Center for Housing has just finished building a permanent home for Donald Tudor Cooray and his family, who have been living in temporary housing for the past several years in Panadura, Sri Lanka. For many years, Mahavilamage Simon supported his wife, Matarage Shirani, and their seven children as a professional mason in Thelawela, Moratuwa. But everything changed about five years ago when Mahavilamage received serious injuries in an accident that left him unable to walk without assistance, much less work. Consequently, the family’s income dwindled and they moved to the only house they could afford – one without windows or doors. The Fuller Center for Housing in Sri Lanka has recently stepped in to help support the Simon family by renovating the house. 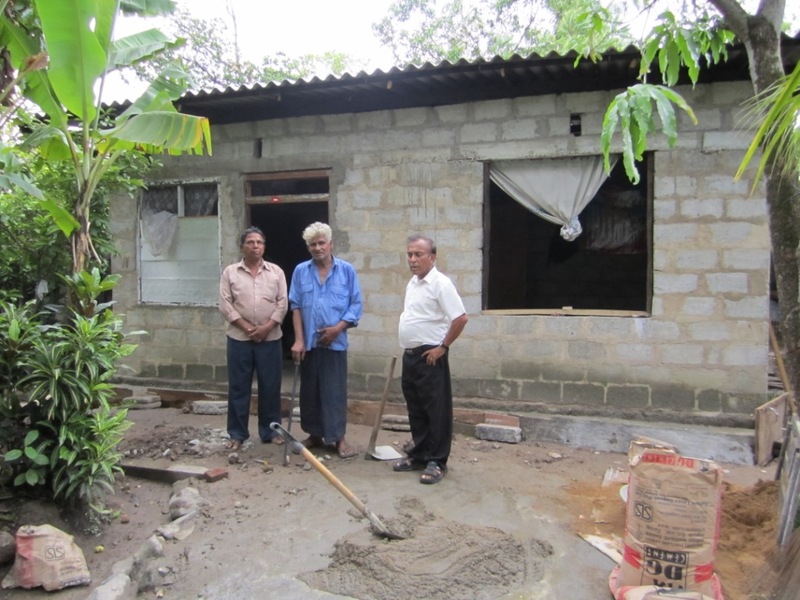 Because of their efforts to put in new doors and windows, plaster the walls and cement the floor, the family now has a simple, decent place to call home. Learn more about joining a Global Builders trip to Sri Lanka here. Visit the United Christian Fellowship web site. View pictures from our work in Sri Lanka. Check out the NY Times Topic: Sri Lanka for facts and links to statistics about Sri Lanka.